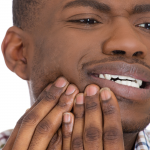 People lose teeth for many reasons, including disease, injury, bad dietary choices, or genetics. Even individuals who have taken meticulous care of their teeth may find that as they age, bone will begin to wear away or gums may be receding, tender or painful. 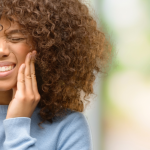 In any of these cases, some may wait for a bad situation to get worse before seeking help and some may visit their normal dentist to look at options only to find the cost of care astronomical. What about a more affordable alternative? Dental work at dental schools can provide an alternative option that offers high quality care at a greatly reduced cost. Many times, getting a “cheap” dental fix gets you just that — low-grade care at a low price. 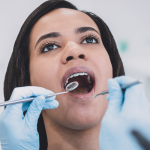 Getting dental work at dental schools by contrast is an excellent option for people needing work that insurance will not cover or those who require an expensive procedure with no insurance to cover it. Implants are a common procedure sought after by patients who receive dental work at dental schools. An implant is an artificial tooth placed in your jaw to stabilize a bridge or replacement tooth. If you’ve lost a tooth due to periodontal disease or some other reason, an implant can greatly decrease your risk of tooth drifting or more tooth loss. 95% of implants last through the first year. 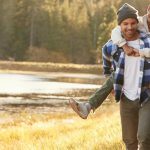 If the implant endures that first year, it is probable that it will last the rest of your life, according to Carl F. Driscoll of the American Board of Prosthodontics. An implant isn’t vulnerable to decay like a natural tooth. However, insurance plans don’t always cover implants because many insurance companies still consider them experimental. That’s why many people go to get implants at a dental school, where costs are lower. At a dental school, student dentists are supervised by experienced professionals. You may experience a longer process than a normal procedure would take for this reason. All procedures are checked by dentist professionals at the top of their fields. Dental work at dental schools gets you the best of both worlds: inexpensive dental care and state-of-the-art quality. To learn more about how to enroll in our dental school program for a variety of procedures, visit our application page at Penn Dental Medicine. Get 25% off your first visit with this coupon.